We understand the need to recharge your lifestyle and our 3-day juice cleanse is just the thing to get those healthy habits back on track! With our promo, we offer the freshest, seasonal produce grown. 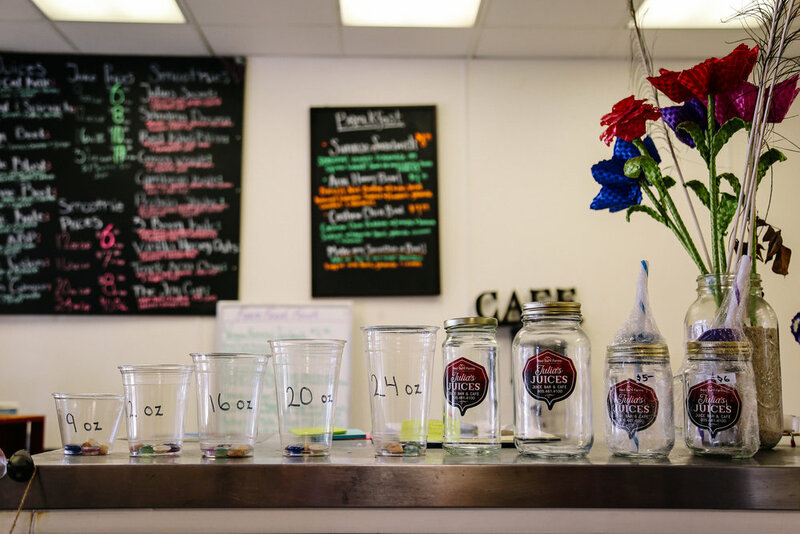 We offer pre-selected juice cleanses that consists of 2 quarts (64 oz) of freshly pressed juice for every day of this 3 -day process, totaling 6 quarts (192 oz) of amazing juice. Interested in a custom juice cleanse? If you are interested in ordering a 3-day juice cleanse that is more customized or off our signature juice menu, the promo price is not applicable. These specialized juice cleanse orders MUST be placed in person at our cafe (960 W Grand Avenue · Grover Beach) or through our Facebook page. We require a 24-hour time frame for these orders, and they may be placed anytime during business hours Monday through Friday, 8–4 pm.